Today I’ve got a sweet yet calorie free card treat to share with you featuring a really fun wafer thin die set from Honey Bee Stamps called Cupcake Builder. Say it with me: oh, for cute! This little cupcake builder die set has so many possibilities! I kept it pretty simple, using some of my favorite Distress Oxides of late to create my pink frosting layers. I also added a layer of shimmer to the frosting using a Nuvo Aqua Shimmer pen. I even created some simple pink stripes on my candle using a Copic marker. A added a few score lines to the cupcake liner/holder thingie, and the result is a simple birthday greeting that is pretty clean and simple! 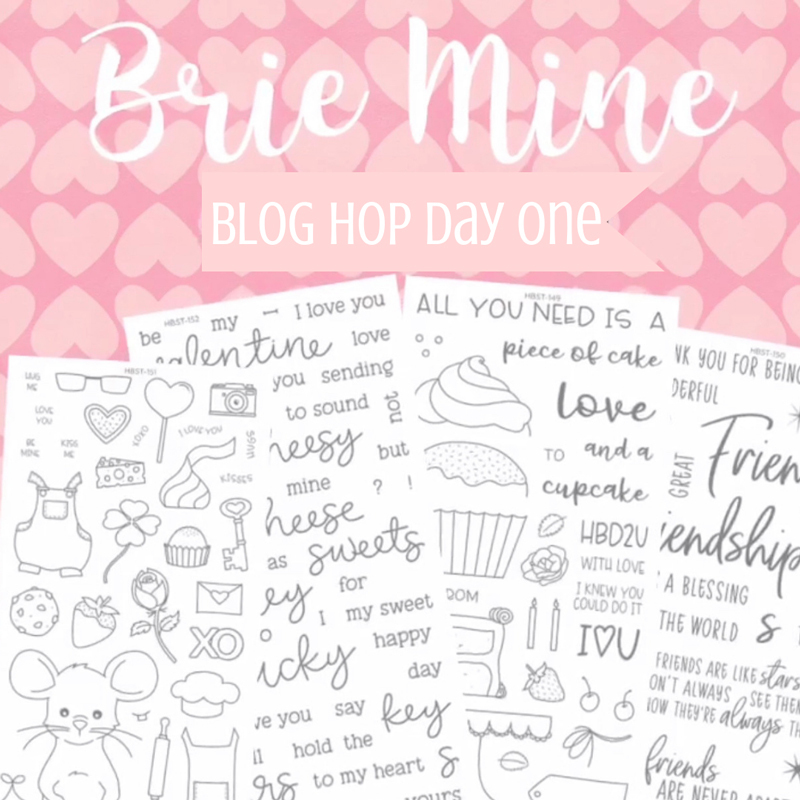 NOW FOR THE HOP DETAILS: Please leave a comment on each blog in the hop for a chance to win the Honey Bee giveaway (two winners $30 gift certificate each)! Winners will be announced on this page of the Honey Bee Stamps blog on February 1st. who can resist a sweet pink cupcake?! Love your project! I just felt peaceful looking at this card. Beautiful but the scoring was brilliant and what sets you apart from the average joe cardmaker 😊. Love this card! Your cards are simple and adorable! Really cute and a quick one to whip up! I’m all about that! 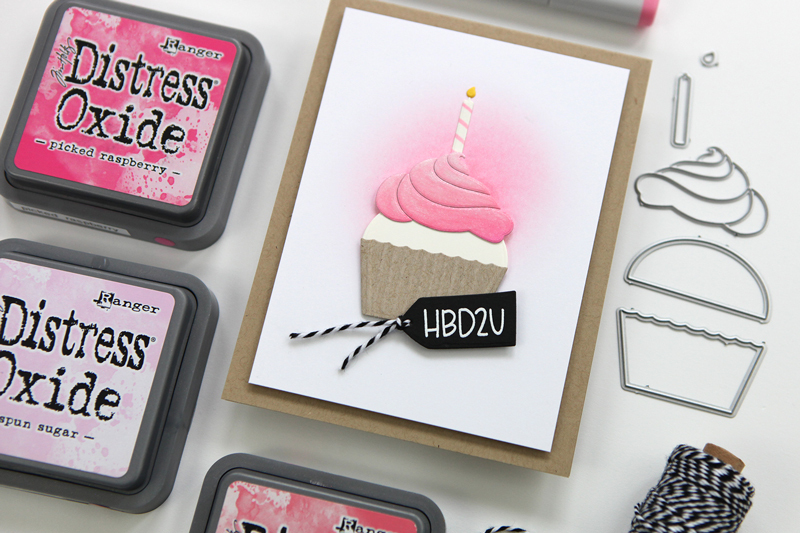 i love your CAS cards- this one is so pretty and yes, cool, with your HBD2U sentiment! Your scored cupcake liner is genius. This Cupcake Builder die set is definitely on my wishlist! What a charming cupcake. Thank you for including the video, love watching the creative process. I love your beautiful color blend, but I can’t get over the sheer perfection of your scoring! This is really stunning! So cute- your cupcake looks pretty enough to eat! so pretty. love the score lines. Simple and so sweet! Love it! pretty card. love the score lines! Die cut cards can be so much fun. I love the glitter cupcake. I definitely want the cupcake die! Sweet cupcake card and love the shimmer on the frosting! Love this!! I am a sucker for a cupcake stamp/die!! Fantastic cute pink cupcake, great video, thank you for all your advice & inspiration. Cute card and great new release from Honey Bee stamps! Great tutorial and so cute! Super cute and thanks for the tip about HBD2U, my granddaughters would get a kick out that on their cards. Well done as always. What a wonderful, wonderful card! It’s simply CAS perfection, I love your style! Super cute card! I love how you keep it simple, but sooo cute! Awesome card – love the composition and colors!!! I love how the cupcake is GLOWING! What a great design! This card looks good enough to eat! Would love to try this out for myself. It would be wonderful to win the cupcake builder set. Honeybee stamps are always welcome as well. Your frosting looks wonderful–it is 3D!!!!!!!!!!! Yummy! Cupcakes rule! Honey Bee is so awesome. Love their products and this cake set. Simply delicious looking. Lovely ideas! That cupcake is just too cute for words. I love the look of this card! That cupcake looks yummy! Cute card! Love the sparkly pink frosting and the pleats in the cupcake liner. I enjoy your tutorials; they’re always fun! Oh for cute! That is exactly what I said when I saw this! LOL I love that little touch of pink shading behind the yummy cupcake! I thought I left a comment on this earlier, but now I don’t see it……I love the clean-and simple design of your card and the pretty shimmer you added to your cupcake! So beautiful! 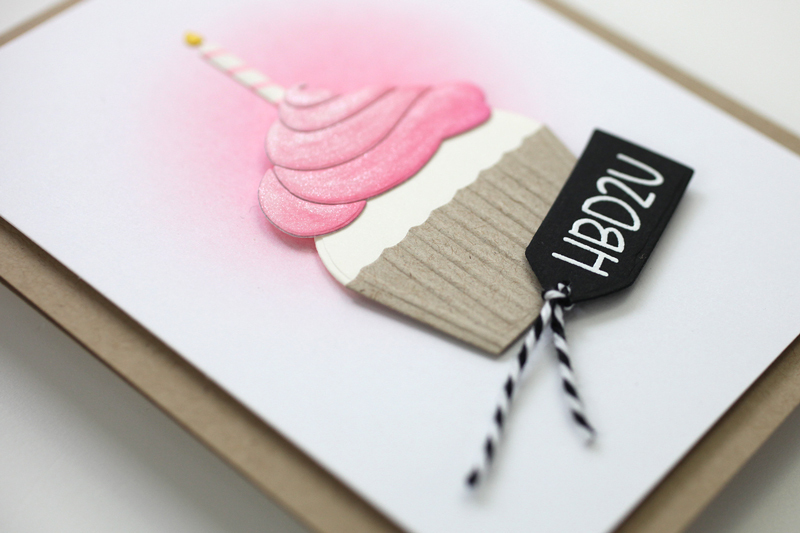 I really like this card, and the pink inked background makes the cupcake “pop”! Thanks for a video too! The shading using the distress oxide inks is really good on the icing. The shimmer pen adds a nice touch also. Adorable card. Love the soft shades. I love this card! Loved the video too and your fun personality that shines through! Love the simplicity of your card! Lovely! Love how you created the cupcake! Pink cupcake and a simple and beautiful design…its perfection! The simplicity of your card is so precious! Very pretty! Now I’m hungry for something sweet to eat. Love your card! The video was great! I love everything you do! This clean and simple cupcake card is just so sweet. Loved your video! And your cupcake is yummy! May be CAS but definitely gorgeous!!!!!!!! That cupcake is precious ! Thank you for sharing your creative process. I need more calorie free cupcakes in my life! So very cute, and what a great idea to do the scoring on the cupcake! I could almost blow out the candle! beautiful design & so glad to see your work. So yummy and so nicely done! Love this cupcake!! 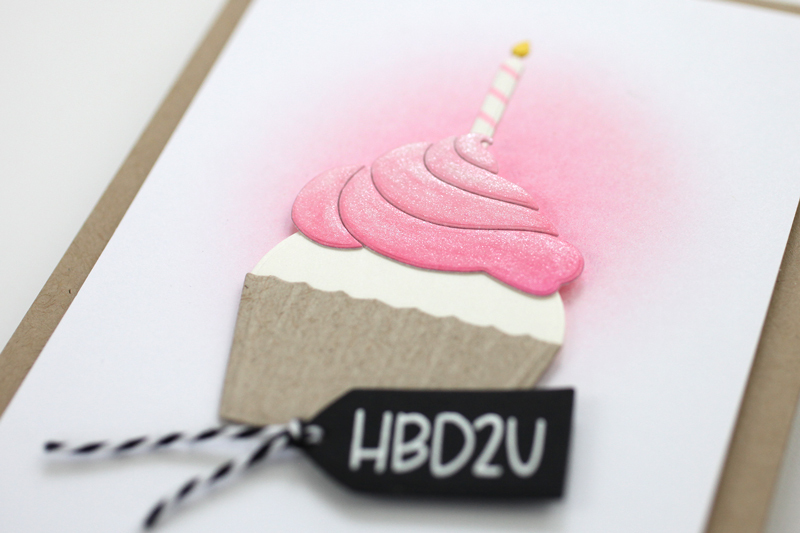 What a sweet card, and SUCH a great idea using the Distress Oxide inks for the frosting! I would never have thought of that! So soft and sweet! Love it!! Love that yummy looking cupcake! Pretty card! This cupcake builder is adorable! I love Honey Bee’s designs. Love your yummy cupcake card. The scoring on the cupcake paper is brilliant! Love the cupcake die!!! Can’t wait to get it. Thank you for sharing!!! Your cupcake card is the sweetest! I always enjoy your videos!! Awesome cards.. Honey Bee stamps are so cute. Great card! I love how you made the stripes on the candle. I really like this little die set. Love how simple and cute this is! Great job. So sweet Cathy and I like the shimmer on the frosting, it really adds to the simple design. TFS! What a delicious cupcake!! I love the colors!! Love the colours of the cupcake. Precolouring a scrap and then diecutting in the area for the desired look is a much better idea than trying to blend on a precut diecut. That’s the tip I’m taking away today. Thanks for sharing. Love the layering on the cupcake. Love this simple card! I really like how you used distress oxide in the background! Super Sweet card!! I love your sparkly blended frosting!!! Sweet card. Thanks for sharing your tips and the technique video. Beautiful card! I like the pink glow behind the cupcake and the creased you put in the wrapper are genious! You shared a bunch of great tips in this card creation! Thanks! Fantastic card! Love the shimmery frosting! Simple and crisp! Love the glowing BG you added! Love the cupcake. So cute, it makes me smile. TFS! Simply outstanding! I love how you did this! Fantastic cupcake! I love the icing! Such a perfect CAS card! Love the clean and simply style and that cupcake looks good enough to eat! What a yummy card, love the extra touch of shimmer on the cupcake and how clean and elegant the card is! What a fun birthday card! Love the detail and dimension on the wrapper and frosting! I love your cupcake, so cute! Scoring the cupcake holder is an awesome idea. Great extra details with the scoring on the cupcake liner and the stripes on the candle. Really adds a lot to this sweet card! One of the reasons I love your cards is because they feel attainable. You really help me see the value of additional details and the difference they make on a card. Thanks for sharing your fun creative perspective with us! Love that cupcake, just the cutest.